President Yahya Jammeh has declared Gambia an Islamic republic, saying the move marks a break with the colonial past. Yahya Jammeh told state TV the proclamation was in line with Gambia’s “religious identity and values”. The Gambian president added that no dress code would be imposed and citizens of other faiths would be allowed to practice freely. The EU temporarily withheld aid money to Gambia last year over its poor human rights record. Yahya Jammeh has been president of Gambia for 21 years. “As Muslims are the majority in the country, the Gambia cannot afford to continue the colonial legacy,” he told state TV, explaining his decision to proclaim an Islamic republic. Yahya Jammeh withdrew Gambia from the Commonwealth in 2013, describing the organization as neo-colonial. 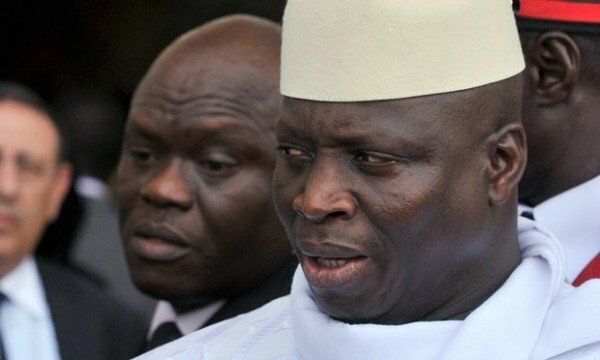 In 2007, Yahya Jammeh claimed to have found herbal cure for AIDS.